2019 Winner the Montaigne Medal, Eric Hoffer Book Awards. 2018 Winner Spirituality, National Indie Excellence Awards. 2018 Finalist Spirituality, Next Generation Indie Book Awards. 2018 Finalist Book of the Year Body/Mind/Spirit Foreword Indies. We all long for boundless love as we long for home. But how can we find our home our meaning and purpose if we don't know our self? 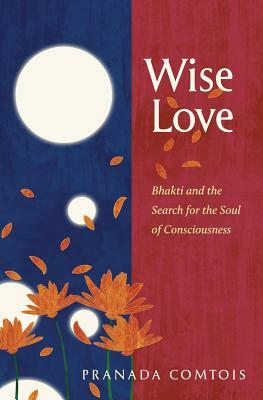 Wise-Love is an exploration of the self, or consciousness, guided through the meditative eyes of saints, sages, seers, and mystics. As we embark on the journey to the self, we discover that the self's most charming characteristic part of its eternal, unchanging nature is that it is a lover, a lover who can be satisfied only when ordinary love evolves into wise-love. Pranada Comtois, a devoted pilgrim and teacher, illuminates bhakti's wisdom school of heartfulness and shows why mindfulness alone can never satisfy the self. Joy comes from an awakened heart and expanded consciousness, not from a controlled or stilled mind. The first part of Wise-Love explores the nature of self/consciousness and how we interface with the world with the use of our physical body and subtle body (mind, intelligence, and ego). By understanding the distinctions between our real and false selves, we can factually answer the questions Who am I? What is my purpose? and How can I be happy? The second half of the book examines the nature of matter, the world of consciousness, karma, faith, mysticism, the efficacy of sacred sound, the maha-mantra, kirtan, humility, depth compassion, and how to culture wise-love. Each chapter unfolds with an understanding of matter and consciousness to present a key that unlocks our eternal nature so that we can experience the unbounded joy of the self in our daily lives. When we encounter the self, we're automatically introduced to our Divine Inner Suitor and our loving relationship with him. Filled with insight and fresh perspectives, Wise-Love offers a map for the journey to our home of eternal affection, where a porch light is always lovingly lit, and a warm embrace from our Divine Other awaits. Secretly nestled in the Upanishads and extolled in the Bhagavad Gita, bhakti yoga shines as the crown jewel on the head of India's timeless wisdom about consciousness and how to live one's meditation. Often over-simplified as devotion, bhakti is the method of experiencing the self and its Essence/Source. This concise yet comprehensive handbook exploring the meaning of bhakti's sophisticated philosophy promises to enrich you wherever you are on the spiritual path.